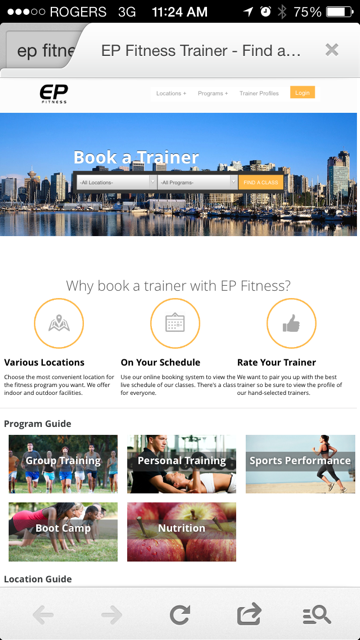 EP Fitness is Canada’s only marketplace to book personal trainers. They connect clients with trainers and stunning gym facilities. EP offers flexibility to choose your own schedule and book and pay online (up to 1 hour ahead of time), to give yourself the ultimate convenience. You may read feedback about specific trainers and share your own. EP encourages the user to scroll through all of their trainers to get a better match for personality, training philosophy and specializations. Free sessions are available at select times and locations.